I also am a Broncos fan. Probably more by force than by choice, as it seems growing up I could always see the Broncos play on TV and few other teams. 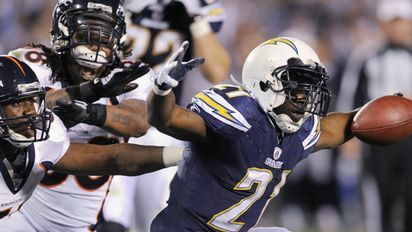 Anyway, if they had to get their butts kicked, at least it was to the Eric Weddle led Chargers. Go Weddle, indeed. However, I think both LT and Phillip Rivers are weenies.